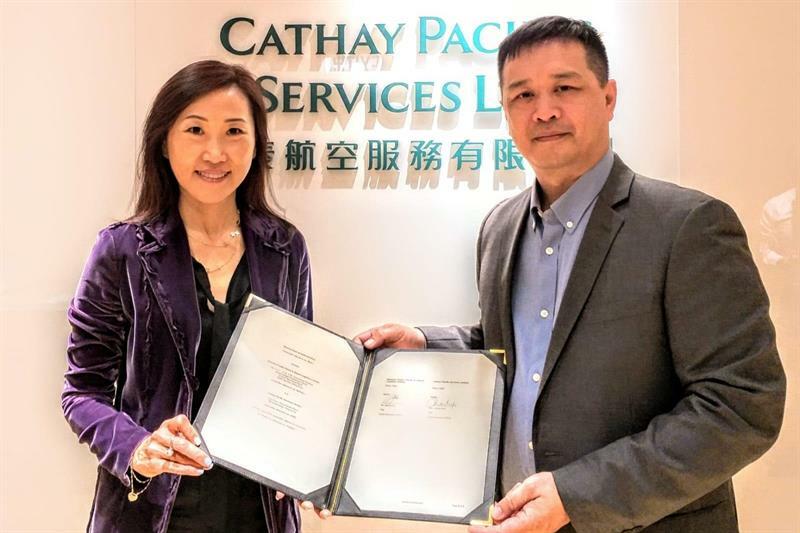 Siemens Postal, Parcel & Airport Logistics (SPPAL) and Cathay Pacific Services have signed a Memorandum of Understanding for the digitalisation of the cargo infrastructure at the Hong Kong airport. Innovative maintenance methods, such as predictive maintenance, and other levers are to be applied to the freight handling system installed by Siemens in 2013 to achieve smooth and even more efficient operation of the Cathay Pacific Cargo Terminal. This will help prevent expensive downtime in the conveying systems and thus enhance the system availability. Spare parts management will also benefit from this optimisation. This project is to be implemented using Internet of Things applications as well as advanced data analytics. The planned software solutions are based on MindSphere, which is Siemens’ open, cloud-based IoT operating platform.